Experts envisage most daunting problems of Ukraine’s pay-as-you-go pension system as well as suggest ways to improve it. Almost 40 per cent of taxes collected in Ukraine feed into the Pension’s Fund institutional costs. Ninety per cent of social payments are not being checked – whether they get to the rich or not. According to the statistics half of beneficiaries have income that exceeds the average. Twelve million pensioners are being supported by 10 million working people and this burden will be only increasing. 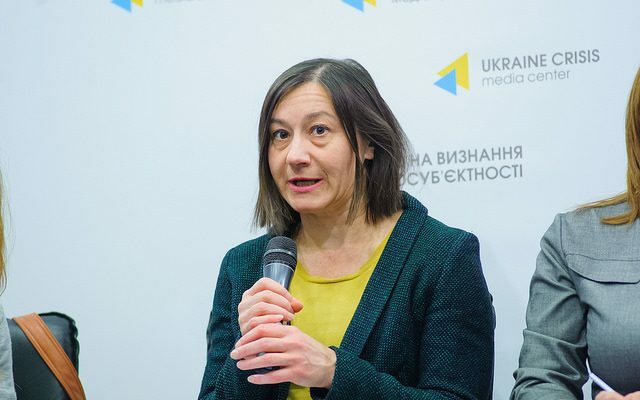 The data was voiced by Maria Repko, deputy director at the Center for economic strategy during a discussion at Ukraine Crisis Media Center. “Current system does not give pensioner the feeling of dignity, the feeling that they can live on their pension. Six per cent of lonely pensioners have no money to buy food,” she noted. Current pay-as-you-go (solidarity) retirement pension system is no more efficient. In the present demographic situation it is not possible to secure fair pension payments under the pay-as-you-go system. “The pay-as-you-go system gives social security, is a ‘not-to-die-from-hunger’ payment. Under cumulative system, individual contributions are introduced at the second level. 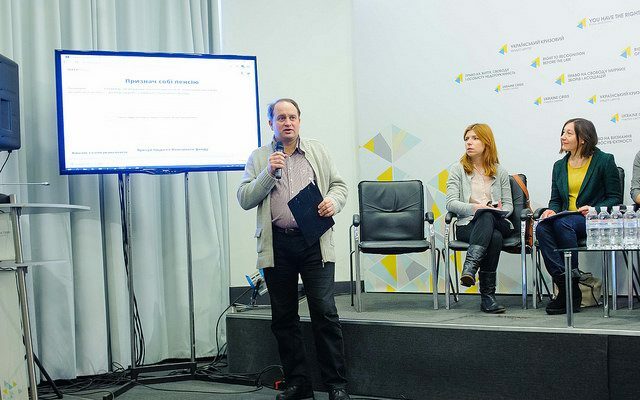 At the third level, a person creates a pension on their own, using various accumulation mechanisms,” explained the advantages of the cumulative system Vitaliy Melnychuk, expert of the Reanimation Package of Reforms. However the mechanisms to invest money are currently quite a few. “They are deposit accounts, securities and bank metals. 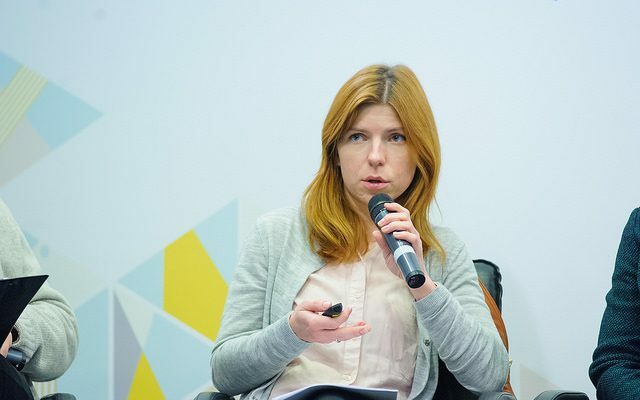 If investment into production and construction is allowed, not only the second level of the pay-as-you-go system will benefit but Ukraine’s economy in a wider sense,” said MP Natalia Veselova. “Today people have two ways to accumulate their savings – foreign currency and real estate. There is no deficit of the ‘long-term money’ in Ukraine, it’s just that it is not invested into the stock market. People should not be forced to do it. 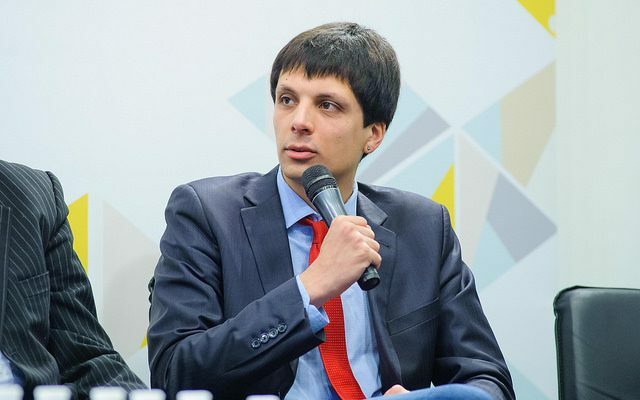 Mechanisms should be changed instead: property rights should be protected, there should be rule of law, economic growth, deregulation as well as fair rules should be guaranteed,” Repko emphasized. International Monetary Fund demands that Ukraine resolves the situation that results from the demographic influence on its pension system. Reform of the actual pay-as-you-go system not its substitute with another one is intended. 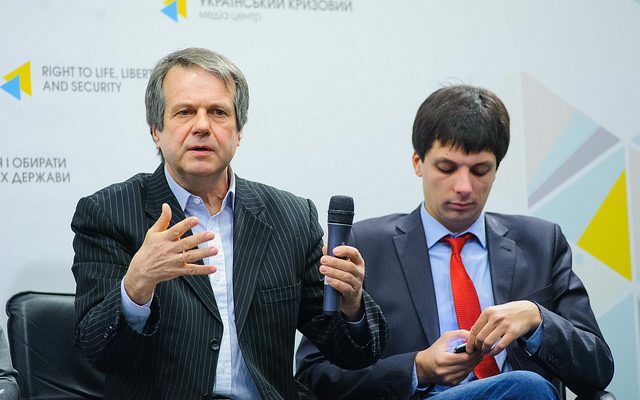 “Parameters of the system need to be changed, they need to stop contributions from excessive growing or at least leave them at one level that would correspond to the economic level,” noted Pavlo Kukhta, economic expert, member of the Strategic Taskforce at Ukraine’s Cabinet of Ministers. It can be achieved, in particular, by increasing retirement age, introducing stricter criteria on minimum working years or by setting up equal age for different categories. Increase of retirement age is a goldmine for populists. People get no explanation that this reform may last for years. “The increase will not happen in one moment, it concerns young people of working age. It may be extended to the lifetime of several generations. It suggests working longer to the young generation as an alternative to paying higher taxes or contributions,” explained Lidia Tkachenko, researcher at the Mykhailo Ptukha Demography and Social Research Institute, part of Ukraine’s National Academy of Sciences.